The piece was ment to be as a result of a specific process made in the gallery. Institutional space exhibiting the artworks preserves the master pieces to be touched, even to be in any contact with the world outside the walls. Sticking the used chewing-gums is generally considered as something unpolite and non-cultural. I reaaranged this mannor of onlooking on this "activity". I rated-up sticking to the artistic process. 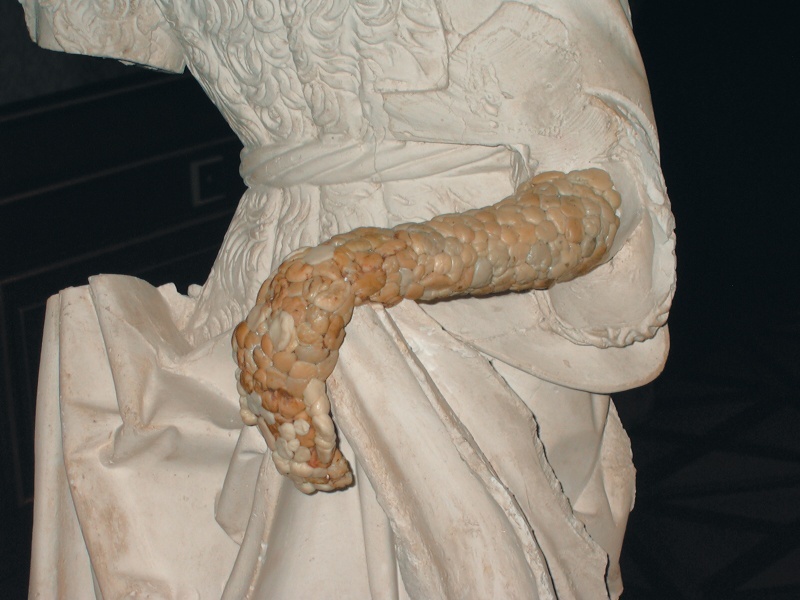 The result is re-creation, restoration of damaged or missing parts of an old statue in new way. Connecting of a high culture heritage and subversive activity bring new level of communication.